COVER: Lama Zopa Rinpoche with Buddha House students after blessing all of the sentient beings in the ocean, Adelaide, South Australia, May 2018. Photo by Ven. Lobsang Sherab. 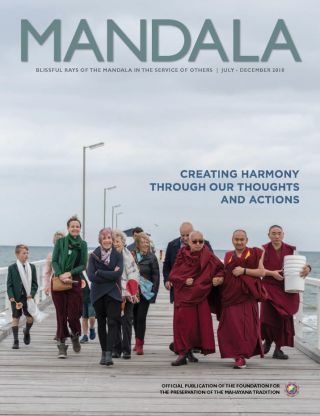 The July-December issue of Mandala is available from the Foundation Store. Or become a member of Friends of FPMT at the Foundation level to receive Mandala semiannually.